Our dedicated boarding facility in North Chattanooga on North Market Street includes state of the art facilities for both dogs and cats. Riverview Animal Hospital is a full-service veterinary medical facility, located in Chattanooga, TN. The professional and courteous staff at Riverview Animal Hospital seeks to provide the best possible medical care, surgical care and dental care for their highly valued patients. Now offering Housecalls, our mission is to bring our hospital's compassionate care and quality medicine to your pet in the comfort of your own home. 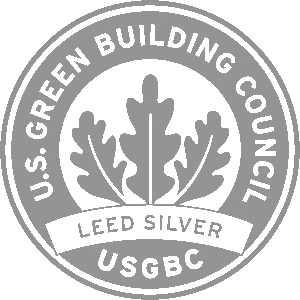 We take every step to help the environment and stay green. That's why we employ the largest privately owned solar array in the City of Chattanooga. With state-of-the-art digital imaging services like ultrasound and digital radiography, our doctors are able to diagnose issues quicker than ever. Our climate controlled boarding facility with separate areas for dogs and cats is the perfect place to leave your furry friend while you're away. We understand that the needs of your furry friends are different from other pets, and will change as they begin to age. Therefore, we have established protocols for each life stage of your pet. Need An Appointment For Your Pet? Riverview Animal Hospital is a full-service veterinary medical facility, located in Chattanooga, Tennessee. The professional and courteous staff at Riverview Animal Hospital seeks to provide the best possible medical care, surgical care and dental care for their highly-valued patients. We are committed to promoting responsible pet ownership, preventative health care and health-related educational opportunities for our clients. 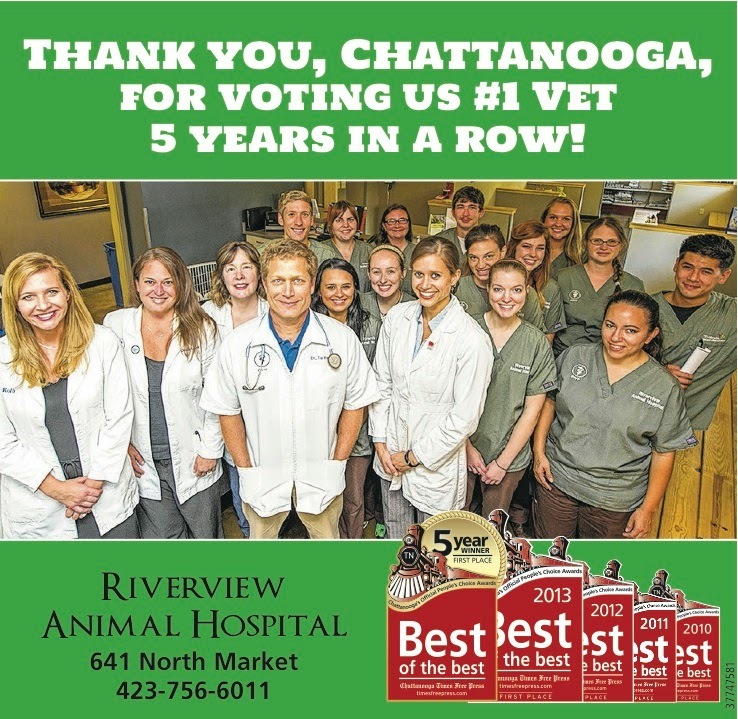 Riverview Animal Hospital strives to offer excellence in veterinary care to Chattanooga, TN and surrounding areas. Please take a moment to contact us today, to learn more about our veterinary practice and to find out more information about how Riverview Animal Hospital can serve the needs of you and your cherished pet. Riverview Animal Hospital is AAHA accredited. Unlike human hospitals, animal hospitals are not required to be accredited. 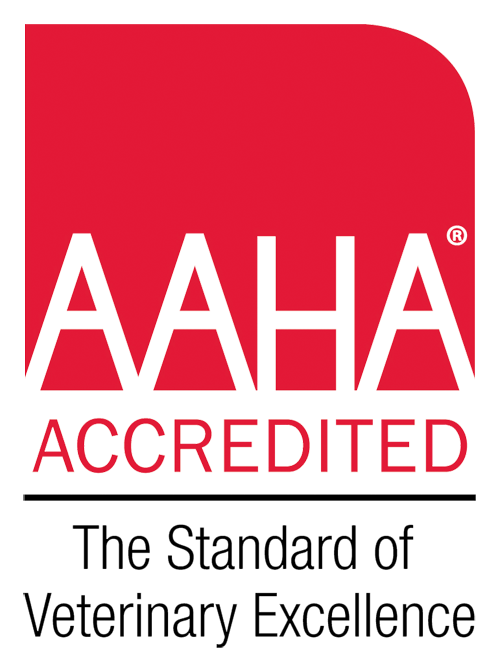 In order to achieve accreditation, Riverview was evaluated by the AAHA on approximately 900 standards of veterinary excellence. 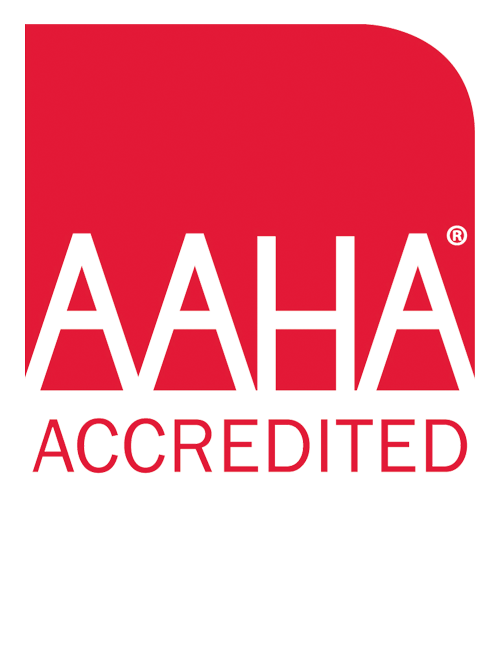 AAHA-accredited hospitals are recognized among the finest in the industry, and are consistently at the forefront of advanced veterinary medicine. AAHA Standards of Accreditation are continuously reviewed and updated to keep accreditation practices on the cutting edge of veterinary excellence. 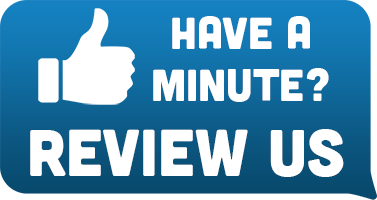 Riverview was reviewed for standards addressing patient care and pain management, surgery, pharmacy, laboratory, exam facilities, medical records, cleanliness, emergency services, dental care, diagnostic imaging, anesthesiology, and continuing education. To maintain accredited status, hospitals undergo comprehensive on-site evaluations every three years. View our online pharmacy for your pet's needs!